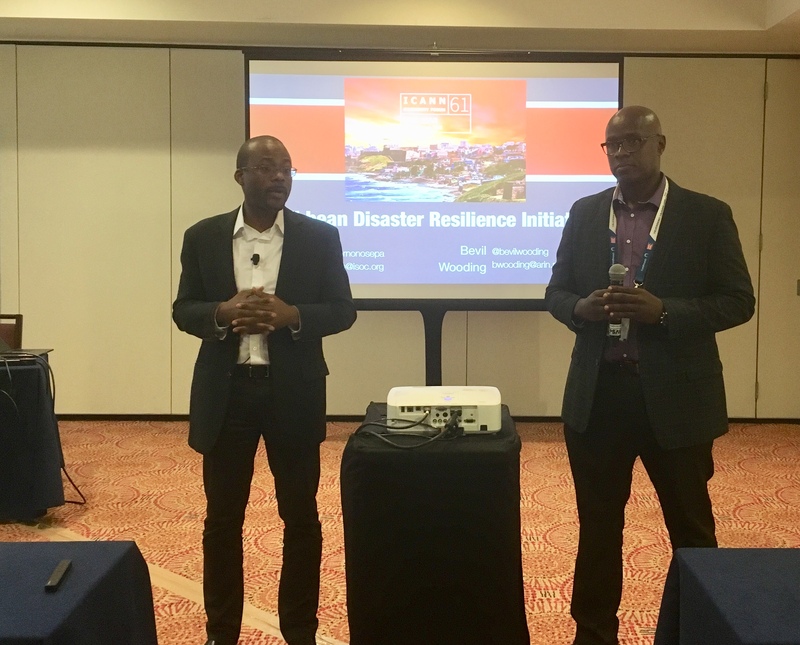 A new initiative to make Caribbean Internet infrastructure less vulnerable to the impact of climate change and natural disasters is gaining momentum across the region. Several Internet organisations recently held talks in Puerto Rico to flesh out a more collaborative approach to boosting Caribbean communications network resilience. “Organisations with a responsibility for coordinating the development of the internet globally are committed to partnering with our stakeholders across the Caribbean to ensure that the region is better prepared for the expected increase in climate-change related events,”Â said Bevil Wooding, Director of Caribbean Outreach at the American Registry for Internet Numbers (ARIN). Wooding, who is also a strategic advisor to the Organisation of Eastern Caribbean States (OECS) Commission, co-chaired the meeting, which included representatives from the Internet Society, Caribbean Telecommunications Union (CTU), the Latin American and Caribbean Internet Registry (LACNIC), the Caribbean Network Operators Group (CaribNOG), the Caribbean Association of National Telecommunication Organisation (CANTO), and the Southern School of Internet Governance, among others. “It is clear that the region needs more robust electrical and telecommunications infrastructure,” said Shernon Osepa, meeting co-chair and Regional Affairs Manager for Latin America and the Caribbean at the Internet Society. The latest talks were held parallel to a Community Forum hosted by the Internet Corporation for Assigned Names and Numbers, commonly called ICANN 61, which took place in San Juan, Puerto Rico from March 10 to 15. Puerto Rico is among several Caribbean islands still recovering from the unprecedented 2017 Atlantic Hurricane season. Sharing real-world stories and lessons learnt from lived experience was a major feature of the interactive and lively session. Dr. Oscar Moreno de Ayala, CEO of NIC .PR, shared perspectives from the ongoing recovery efforts in the aftermath of Hurricanes Irma and Maria in Puerto Rico. Lance Hinds, Special Advisor to the Minister of Public Telecommunications in Guyana, said that while the South American nation is not as susceptible to hurricanes as its island-neighbours, the rural and hinterland areas of Guyana are susceptible to flooding during the rainy season, and there is no less urgency in the need to recover quickly after an adverse environmental event. Hinds explained that the indigenous communities in the hinterland are sometimes severely affected and difficult to assist because of challenges with terrain and distance. “As we consider our expanding communications sector, the Ministry of Public Telecommunications is looking for ways to increase the resilience of our networks to the impact of these kinds of extreme events. That involves engaging the major telcos and the smaller service providers operating in those locations to make sure that there is swift restoration of power and connectivity post-disaster,” Hinds said. Dr. Luis Martinez, President of the Mexico Chapter of the Internet Society, recounted some lessons learnt after a series of earthquakes and aftershock struck Mexico in September 2017. The community of volunteers who were using the network had to learn some basic rules to minimise bandwidth use, prolong battery life, share mobile handsets, and avoid inadvertently hampering official rescue efforts, Martinez said. He explained that there were fact-finders who were gathering and reporting fresh information, data publishers who were extracting the raw data from the reports and tabling them into open-source spreadsheets and databases, and data verifiers who were working to confirm, correct or debunk reports. “There are many important lessons to be drawn from the experience of the previous natural disasters across the region. We recognize that greater dialog and a more collaborative approach to disaster preparedness and response is key,” Wooding said. Significant attention has been paid over the past few months to the issue of strengthening the resilience of Caribbean networks and to the development of greater technical capacity in the region. Officials from Caribbean ministries with responsibility for Internet and telecommunications policy development recently discussed collaborative approaches to strengthening regional network security and resilience at the CTU’s Caribbean Internet Governance Forum, held in St Vincent and the Grenadines last month. The CTU has also formed a special commission to identify actionable recommendations for improving Caribbean network resilience. Also, the upcoming CaribNOG Regional meeting from April 18 to 20 in Miami will focus on building technical capacity for Caribbean Network engineers and administrators to design resilient networks.